Earlier this year I was thrilled to have been asked to help with some barrel selections for Aquistapace’s Covington Supermarket. 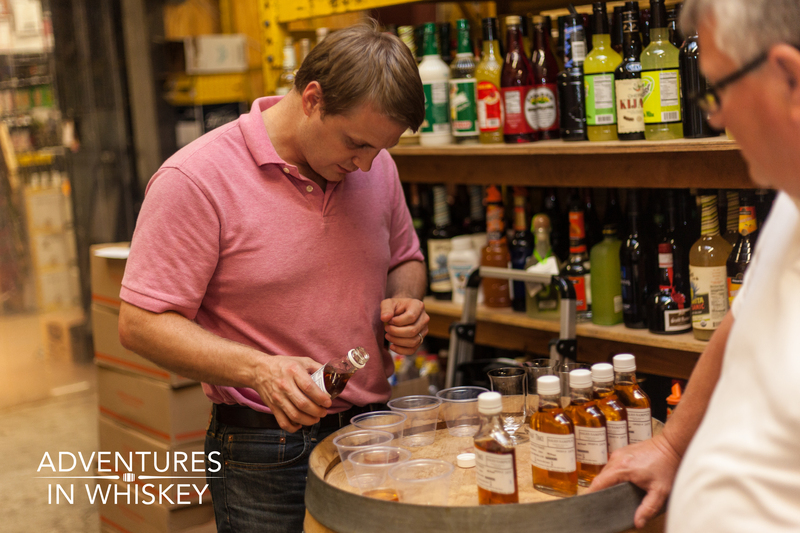 Adam Acquistapace and I tasted our way through some barrel samples for private bottlings of Buffalo Trace, Eagle Rare and Blanton’s. 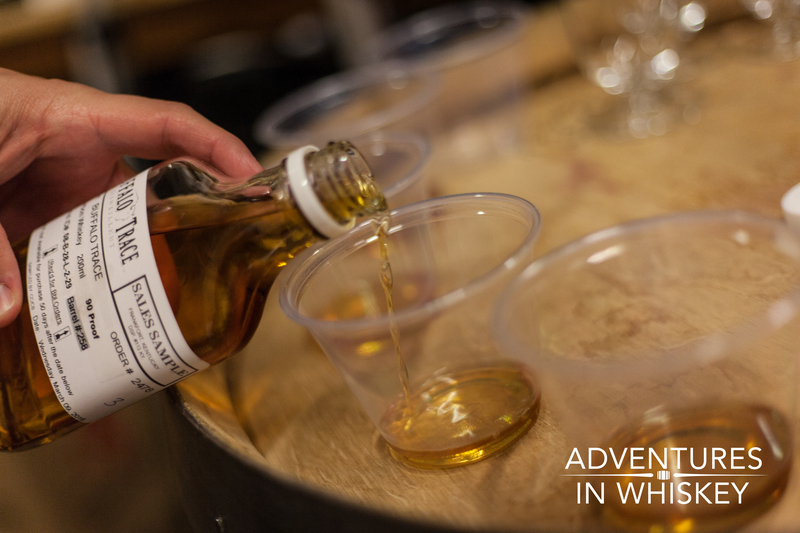 In the case of Blanton’s, we ended up choosing two barrels. The first barrel was delivered a couple of months ago and flew off the shelves before I had a chance to review it. Adam Acquistapace pouring some samples. Luckily, Adam has stocked his newly opened store in Mandeville with the second barrel. Since the store opened this past week, I thought I’d go ahead and post some tasting notes for it. 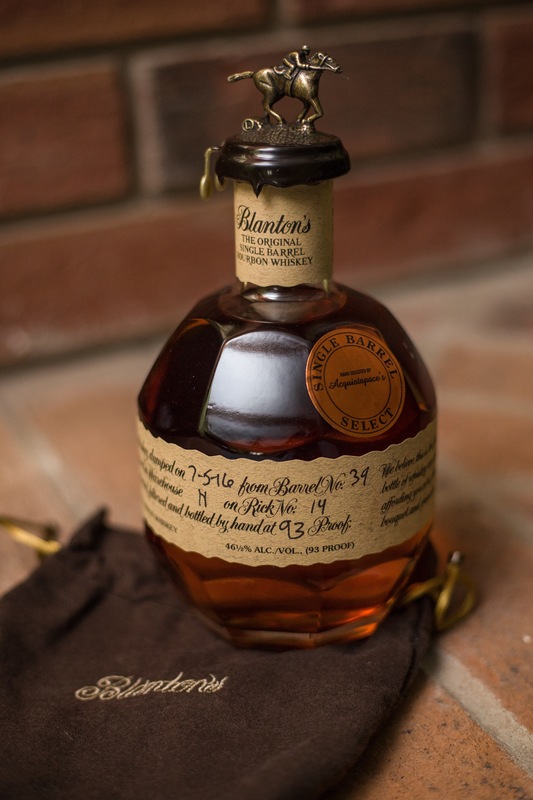 Like all Blanton’s releases, this whisky was matured in Buffalo Trace’s Warehouse H. This particular barrel (no. 39) rested on Rick No. 14. The nose is full of big butterscotch notes, along with hints of maraschino cherries, wood spice, and vanilla bean. Taste-wise, there’s an initial light hit of spice followed by big waves of light brown sugar and butterscotch. Some red fruit develops in the midpalate alongside spiced corn and sweet oak. The medium-long finish leaves behind a sweet caramel followed by slightly astringent oak and a touch of mint. A pour of Buffalo Trace bourbon from a barrel sample. For each private barrel, Buffalo Trace Distillery sends a sample from three different barrels for you to choose. This was my favorite of the two Blanton’s barrels we picked. I love the way the fruit, butterscotch and spice compliment each other here. Acquistapace’s is selling these for $51.99 each. Great price if you ask me. At the rate folks are buying this bourbon, I don’t expect this to be on shelves long after Thanksgiving weekend. Thanks to Adam for asking me to help him with these barrel selections. As always, all thoughts and opinions are my own.